Official Unitronic Chipped 2.0TSI Thread! That's good know, is unitronics log viewer available to the public or is that a company kind of thing you guys use ? No, not yet. Internal only at the moment. I LOVE the results im planing to chip the dsg and a big turbo but I already spen to much money. I accept sponsorship lol. Anyone ever use a turbo smart plumb back DV on uni tunes? Any issues? I use to have a gfb DV+ but was giving me issues during partial throttle, put the stock Dv back on but I just can't stand it. I use a forge dv plumed back in, I leave the stock one plugged in and zip-tied to the abs module out of the way... No faults and has been fine. Good to know, turbo smart comes with a bypass so I'd just use that, might just bite the bullet and try it out. Just to update everyone, installed the turbo smart DV and have no issues, holds boost way better. On a different note, anyone good with reading logs ? I got a consistent timing pull that I've been chasing and can't figure it out. 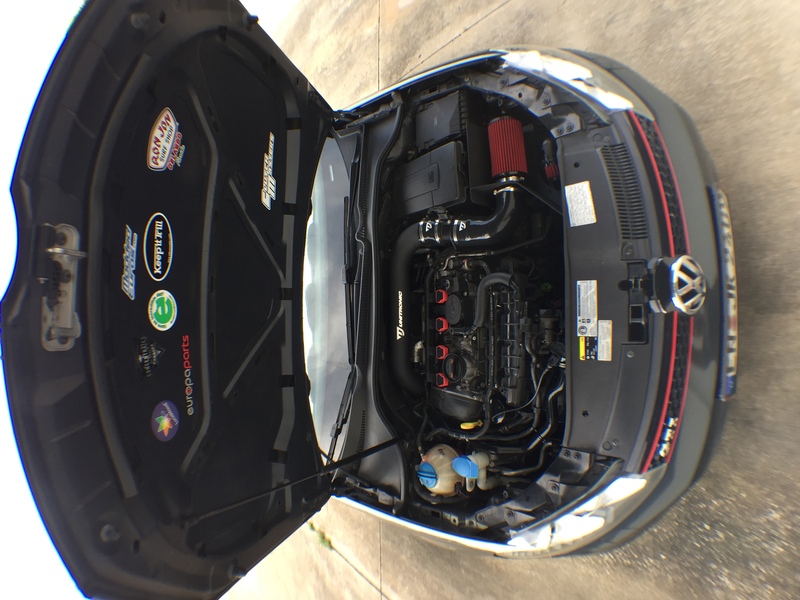 2013 GTI, Unitronic Stage 2 with Uni TBE, CAI, GFB+ Diverter Valve, and a bunch of other goodies but that seems to cover the applicable stuff. It "Feels" like a boost leak or a software issue just not delivering the power anymore, but I figured I would start here and see if there are some updates or news about the Stage 2 software that I have missed in the last couple of years. Cheers and thank you! Last edited by Brunkel; 07-21-2018 at 12:51 PM. That wouldn’t be too bad since if it just means swapping in a new MAF sensor. Looks like people are saying a good way to test it is to try unplugging it and if the car runs better without it then it is usually a sign it is going bad. Is this the case if you have a tune you think? Last edited by Brunkel; 07-21-2018 at 11:45 PM. Sounds about right, depends on outside temps as well. I have a Mk VI and MK VII and did a stage one plus on both cars. The Mk VI feels better around town, punchier and more fun to drive but I think it's because of the lower gearing. The Mk VII is kind of a dog but for some reason a long 3rd gear pull lets it flex it's muscle. I can't figure out why 1st and 2nd have soft spots in the acceleration. Oh well, both are fun. The Mk VI is down at the moment with problems (only 20K miles) but not any issue with the flash.